Absolute zero-leakage at test. ISO 5208 rate A. 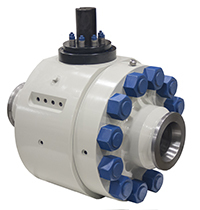 The Next Generation in Trunnion Technology™. 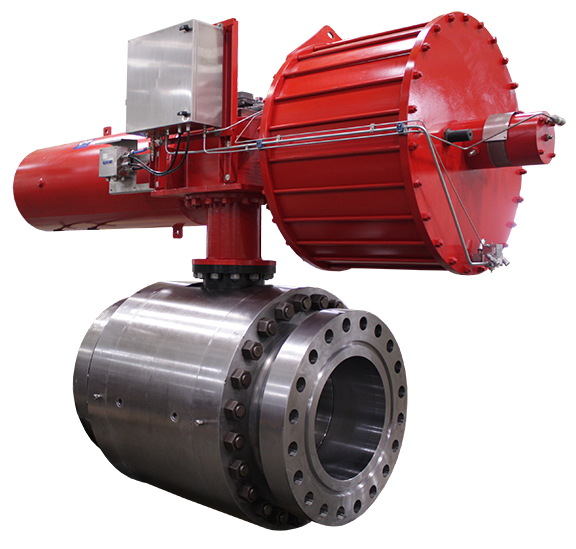 ValvTechnologies’ TrunTech® is designed to address the severe service demands of the upstream and midstream oil and gas industries. Its protected seat seals design provides long life and tight shut-off in abrasive / erosive conditions and meets stringent fugitive emission requirements. TrunTech® is designed to API-6D and API-6A, fire-safe per API-607 (API-6D) and API-6FA (API-6A), tight-shut-off per ISO-5208 Rate A (API-6D) and PSL-3 (API-6A). Carbide sealing surfaces. The sealing surfaces are overlaid with tungsten or chromium carbide using the ValvTechnologies-exclusive HVOF RiTech® coating process. These surfaces have a hardness of 68 – 72 Rc to allow long periods of operation in the most severe conditions. High integrity seals. To prevent leaks around the seats, ValvTechnologies has developed an innovative double seal design for erosive services operation in high cycling applications. A secondary graphite seal is installed toward the body cavity. Solids resistance. In addition to the carbide coatings which will allow the valve to function in highly abrasive applications, the individual valve parts have additional seals to prevent interference from solids in the system. This provides for outstanding service in severe-service isolation applications with high particle content from sand, elemental sulfur, hydrate, perforation shrapnel and pipe corrosion products. Background: The customer placed a large order for High Integrity Pressure Production Systems (HIPPS) trunnion valves, which were 8” class 2500. The scope was a total of 20 valves which were needed for the expansion of their gas field. Their excellent experience with ValvTechnologies’ on a previous order influenced them to choose our services again. Solution: HIPPS provide the same function as a relief valve, but instead of relieving the high pressure gas to atmosphere the HIPPS shuts in the pressure and contains the high pressure gas upstream of the lower pressure section of the piping. The pressure transmitters forward the pressure signal to the logic solver. The program logic provides the set point and the voting rule. For example, the system may be based on closing the HIPPS if any two of the three pressure transmitters detect a pressure above the set point. Upon closing of the HIPPS valves the down stream pressure is likely drop below the pressure safety threshold. Nevertheless, the HIPPS valves do not automatically re-open. Instead, a local, manual reset feature needs to be engaged forcing the operator to do a local, visual inspection and correction of the issue that caused the over pressure before allowing flow to restart. A key feature of HIPPS is the ‘spec break’, the transition from the high pressure piping to the lower pressure system. The spec break is indicated on the P&ID near the second HIPPS-valve. Most importantly, a HIPPS is tightly regulated system, subject to regulatory oversight and stands alone to protect a piping system against over pressure and consequent potential for catastrophic failure, loss of life, loss of assets and damage to the environment.